Craving for Japanese food in the traditional city Kyoto? 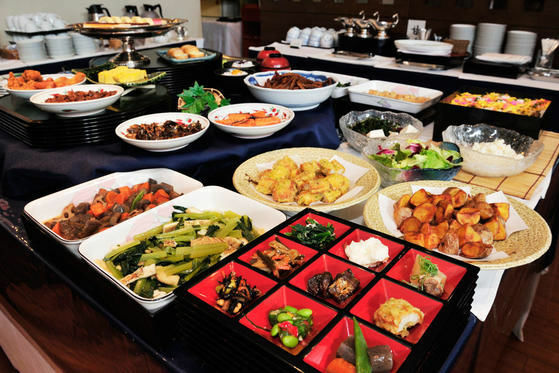 There are actually many kinds of Japanese food and restaurants, so why don’t you go to buffet? You can try variety of Japanese food such as sushi, noodles, tempura, tofu, and so on as much as you can! Shabu shabu is a traditional type of Japanese cuisine where you get served the ingredients raw, and you cook them yourself in a hotpot at your very table. Noteworthily, among the many fresh ingredients served at Ton Shabu Hide, you'll have the chance to try some Awa Pork and Awa-odori Chicken, two famous brands of meat from the Tokushima Prefecture. Ton Shabu Hide's all-you-can-eat Awa Pork & Awa-odori Chicken Course is ¥3,600 taxes included. You can add an all-you-can-drink option for an extra ¥1,400. This is a great choice conveniently located nearby the popular Nishiki Market, at a 1-minute walk from the Karasuma Station and a 2-minute walk from the Shijo Station. 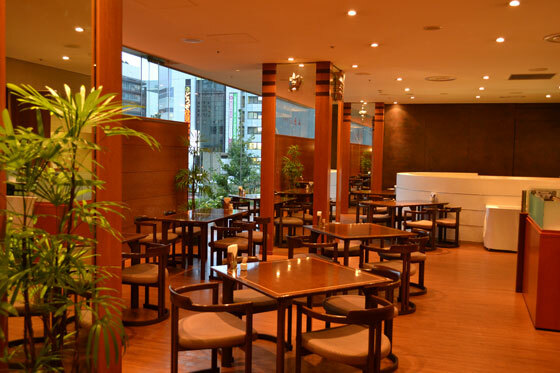 Located on the 2nd floor of the building right next to Kyoto station, this restaurant serves traditional Kyoto dishes. Many of their food are made from a variety of local vegetables. You can learn how healthy Japanese traditional food is. They offer buffet only in lunch time. 1700 yen on weekdays and 2000 yen on weekends. Just 3 mins walk from Sanjo station, this restaurant offers reasonable lunch buffet only costs 980 yen! They have vegetables, meat and fish, and some western-inspired Japanese food like omu-rice. Omu-rice is an omelet stuffed with stir-fried rice which is loved by most of the Japanese. You can also try Japanese spaghetti, like soy sauce flavored spaghetti. They offer breakfast buffet as well if you want. Walkway from some stations but Kawaramachi station is the closest taking 2 mins. This buffet restaurant is fun place to visit, especially for ninja lovers. The atmosphere and decoration are very entertaining. All staffs wear ninja clothes and speak like a ninja. You can eat various dishes such as sushi, karaage (Japanese deep-fried chicken), and also some desserts! This restaurant is on the 1st floor of New Hankyu Hotel near Kyoto station. The restaurant is big and clean, having a variety of food and a lot of seats. What you should eat there is tempura. They cook tempura in front of you right after you order! You can eat other Japanese food including sushi and matcha (green tea) desserts. Fulfill your stomach with their great food!